Rose’s unstuffy, bubbly presenting style has led television channels such as the BBC and Sky Arts to seek her out as an arts presenter and fresh face for TV. 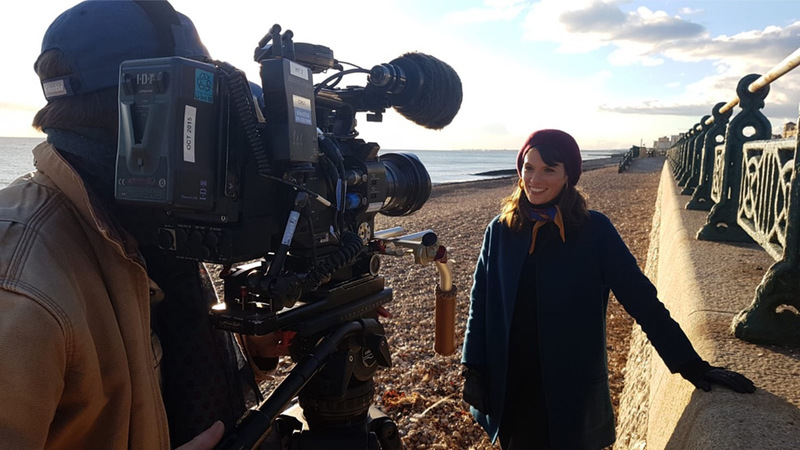 In October 2018 Rose presented a film on landscape artist John Constable, alongside production team Alley Cats. Constable is a much underrated artist (his contemporary JMW Turner tends to take the limelight) and Rose hugely enjoyed shouting about him from the rooftops. The film was situated in the seaside town of Brighton to explore an intensely dramatic, fertile and creative four-year period in the artist’s life. Looking closely at BBC archive footage, Rose investigated the way in which the BBC has portrayed the artist over the past 60 years. This is an eight-part series with several different art historians presenting. It will be aired on BBC4 in early 2019. 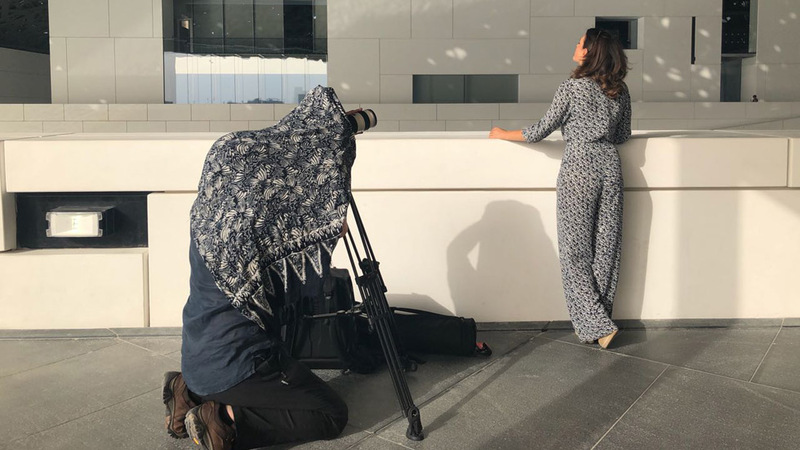 In May 2018 Rose and production team IWC Media finished work on a BBC documentary that sought to illustrate the rapidly changing art scene in the Gulf. This was a highly creative project that Rose orchestrated when she moved to Dubai in 2015. Realising her new home was not the ‘cultural desert’ spoken of by some of her friends, Rose was determined to promote to the wider world the creativity that is found in the Emirates. The film includes eye-opening encounters with Dr Zaki Nusseibeh, Abdelmonem Bin Eisa Alserkal, Sultan Sooud Al Qassemi and Sheikha Hoor Al Qasimi, as well as a range of artists from the UAE and Saudi (including Mohammed Ahmed Ibrahim, Sheikha El Ketbi and Ahmed Mater). This release date is tbc. Rose’s TV debut was in 2016. She was asked by Sky Arts to co-present the eight-part series ‘Fake! The Great Masterpiece Challenge’ alongside Giles Coren. Rose and Giles encouraged the British public into regional art galleries (that perhaps didn’t get as much as a look in as those in London) by secretly removing an original art work from the wall, and replacing it with a copy. 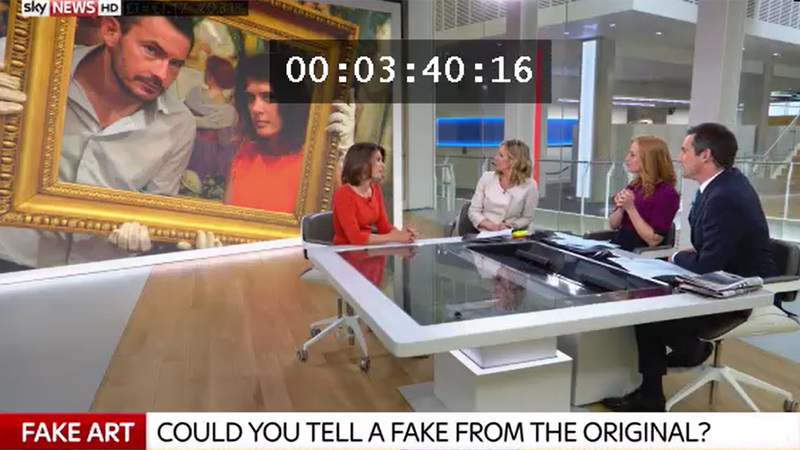 The public were then asked to hunt down the fake! It was a rip-roaring success and very exciting to see how much people learnt from carefully scrutinising the paintings. As part of the promotion for Fake! The Great Masterpiece Challenge, Rose was interviewed on the red sofa by BBC Breakfast and Sky Sunrise. Please see clip on the left for the Sky Sunrise interview.